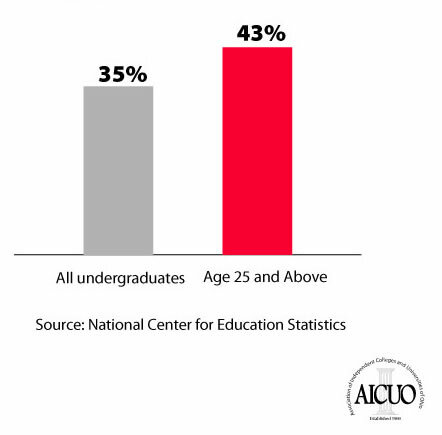 Ohio independent colleges educate more than their share of adult learners, while public universities have more than their share of traditional-age students needing extra time to graduate. 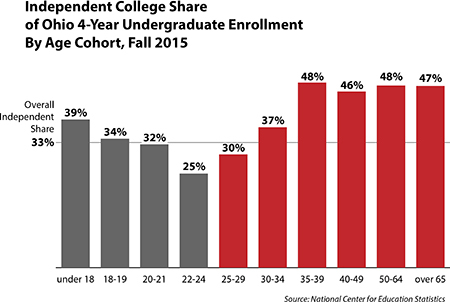 Ohio independent colleges serve more than their share of nontraditional students, whether they are adults or high-school age. Ohio continues to lag the nation and its regional peers in the percentage of adults seeking bachelor's degrees. 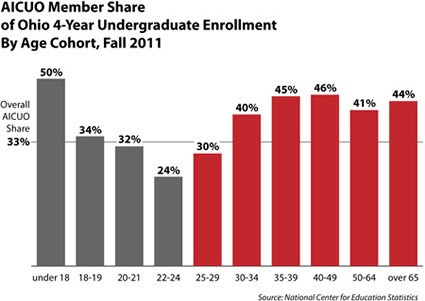 Ohio's independent colleges continue to contribute more than their share of the education of the state's adult citizens. 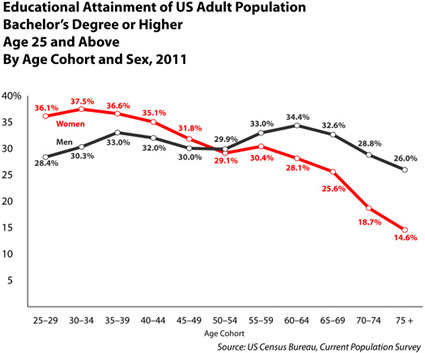 As of last year, men above age 50 were better educated, and women below age 50. While a growing percentage of younger adults in Ohio and in the nation as a whole are in college or graduate school, the share of older adults continuing their education still lags. 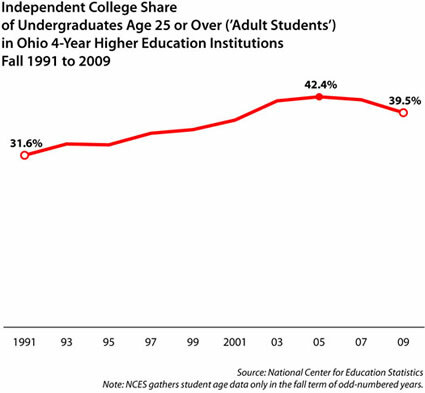 Ohio independent colleges' commitment to adult students has grown substantially in the last two decades. Ohio's private nonprofit colleges and universities do more than their share of educating the state's adult learners.